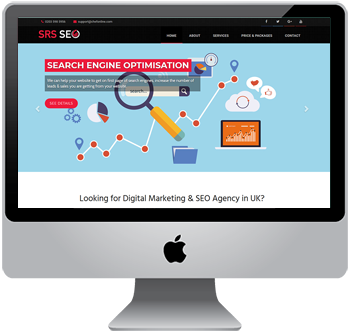 Search engine optimisation – or SEO, for short – is something that you cannot afford to ignore. As customers continue to favour browsing, ordering and booking online over more traditional methods, it is vital that you make your webpage as prominent as possible. SEO is the process of getting a website as close to the top of a search engine’s rankings as possible. The undisputed search engine champ at the moment is Google, with over three quarters of the market share. Over two trillion searches were made via Google in 2014 alone, so it is easy to see why so many people want a piece of this lucrative, online-traffic pie. It is estimated that 75 per cent of internet users do not bother searching beyond the first page of Google’s results, and that as many as 80 per cent of browsers ignore sponsored links that have paid their way to the top of the rankings. With this in mind, it is vital that your business employs a strong, natural SEO campaign. ChefOnline has a dedicated team of experienced SEO professionals who can provide your business with everything it needs to feature prominently on Google. Our team will work with you to decide the best keywords to focus on and the parts of your site that need the most work. We use a variety of strategies in order to get the best results. These include encouraging inbound links from other high quality sites, increasing the relevance of your content to specific keywords and removing any pesky barriers that might be inhibiting Google’s indexing software. A good quality SEO campaign greatly increases the effectiveness of your website in driving traffic, converting clicks into sales and growing your business. As online commerce continues to become ever more popular, you cannot afford to get left behind in the race to the top of the search engine tree.